For more information on corporate sponsorship opportunities, contact Kate Amaya at (254) 710-6826. The Office of Career & Professional Development assists employers in the recruitment of ECS students for internships and full-time employment. Baylor’s Office of Career & Professional Development hosted more than 150 companies and 375 campus recruiters at the university-wide Internship & Career Fair in February. This event was the largest corporate recruitment event at Baylor to date with new companies looking to hire Baylor students. 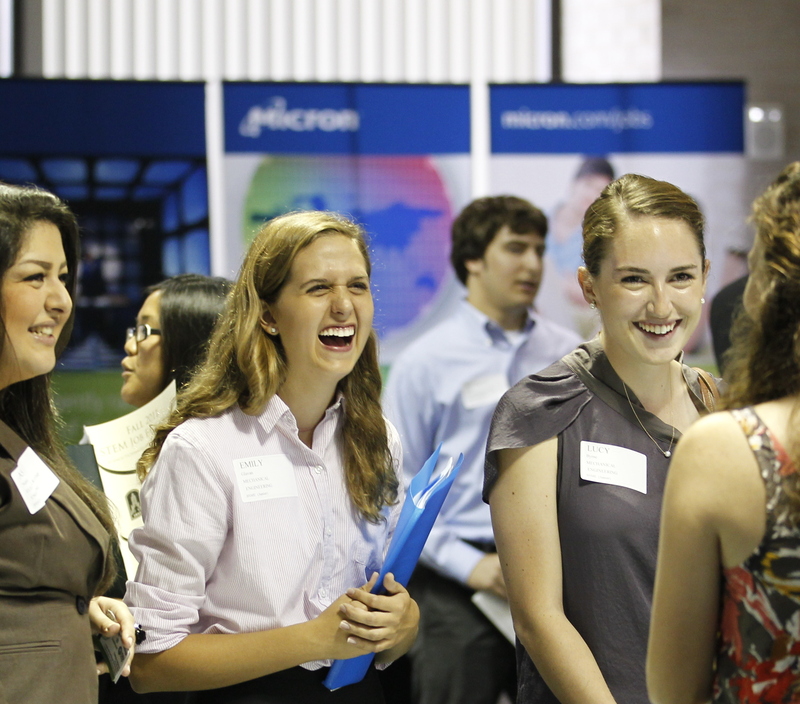 Many companies held on-campus interviews, both preceding and following the career fair. As Baylor ECS continues to grow both in quantity and quality, more and more companies are identifying the School of Engineering & Computer Science as a source for well-prepared, entry-level engineers and computer scientists. Corporate partners play a huge role in academic life. In addition to internships and job placement upon graduation, the financial support of corporate partners provides career development for ECS students along with scholarship money and funding for laboratories and student organizations. Many times Baylor alumni are leading the charge in recruiting Baylor students by getting their company more visibility on campus. In fact, ECS alumni from companies like Halliburton, Lockheed Martin, L-3, SpaceX, Chevron Phillips, and National Instruments all lead recruitment efforts at Baylor. If your company does not currently recruit at Baylor and you are interested in hiring some fellow Baylor Bears, please contact Kate Amaya at (254) 710-6826.